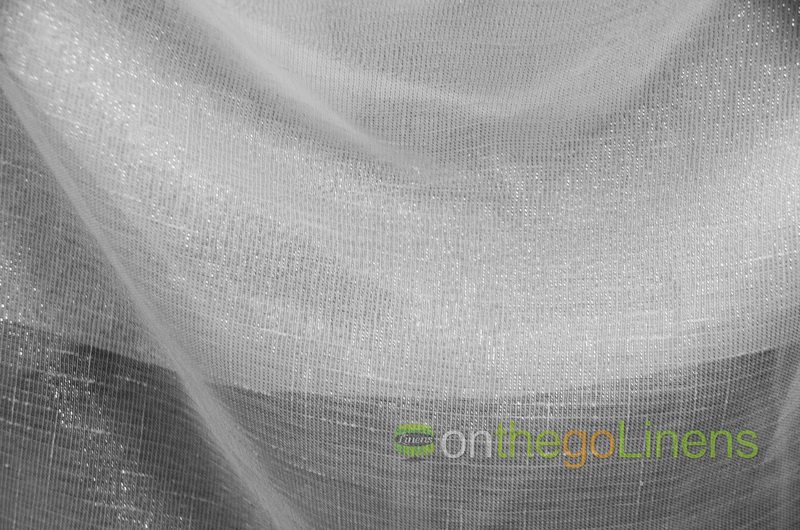 Order the Best Quality Metallic Faux Sheer Linen Yards available in 2 different colors. 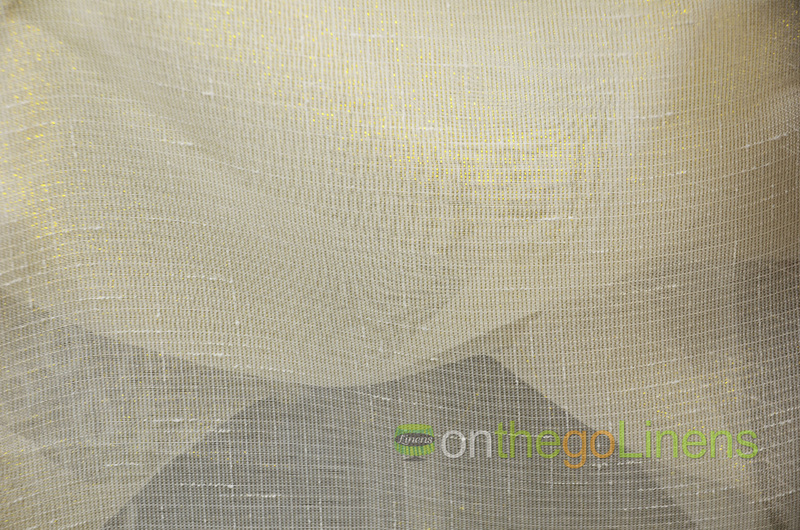 Fabric Description: Metallic Faux Sheer Linen is part of our Faux Sheer Linen Line. The fabric is a polyester version of a sheer Linen Fabric. With slight Dupioni Slubs (silk) and metallic running through the fabric, creating an exciting look for all your projects. Fabric Weight: Light weight with a very soft hand feel. Great for tablecloths and Curtains and Drapes. We always suggest prewashing the linens before use. The Golden Rule to this suggest when you prewash fabrics, be consistent. For example, either prewash all your fabrics, or do not prewash at all. Metallic Faux Sheer Linen is hand washable. Wash with mild soap and hang to dry. We always suggest Dry Cleaning to preserve the fabric longevity.